Often criticized at home and abroad for failing to score from forward, Arsenal striker Olivier Giroud gave France an early lead over Euro 2016’s Cinderlla story Iceland with a brilliant strike in the first 15 minutes. 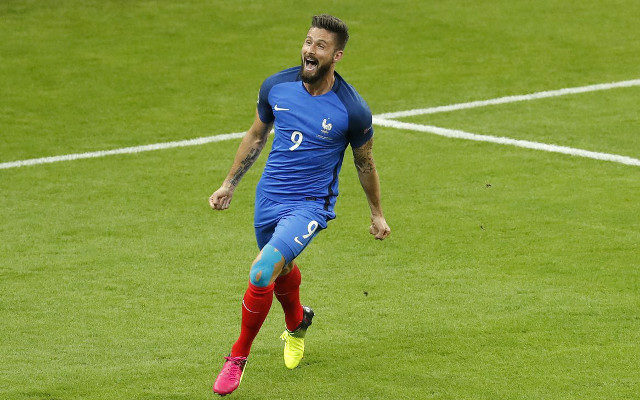 Giroud scored the first goal of the tournament for France against Romania but was relatively quiet in the three matches that followed against Albania, Switzerland and Ireland. The goal was Giroud’s 19th international score and his sixth of 2016 – further extending his career-high for a single year of international duty, and leading to some early misery for Iceland.